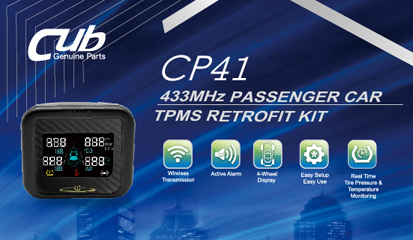 Passenger Car TPMS Retrofit Kit, provides a color LCD display, it could display the tire pressure and temperature value for 4 wheels after plugging the power cable into the cigarette lighter socket on the car. You could use the touching button to make settings, such as alarm value or tire rotation, it is very simple and easy to learn. Understanding more Passenger Car TPMS..